Classic BlendClassic Blend is batch-blended from 5 all-natural ingredients: our Fleur de Sel de Guérande, Lavender, Thyme, Savory, and Marjoram. 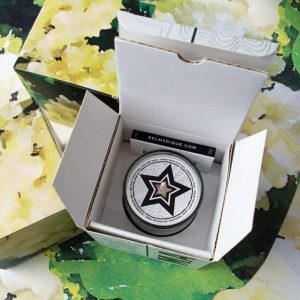 It has a mineral-rich saltiness, and savory body that finishes with a subtle herbal note. Use Classic Blend anywhere for an enhanced, gourmet experience. The savory standard. 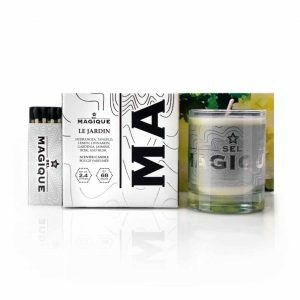 CandlesFragrance is an integral part of Sel Magique. Open a jar, and the first thing that greets you is the crisp herbal aroma of our fine salt and herb blends. We’ve expanded this experience into three signature scents, which debut in our hand-poured candles. Classic Blend recalls the herbal, earthen aroma of our signature salt blend, imparting a timeless, warm, and luxurious scent. Fragrance notes include Herbes de Provence, citrus, vetiver, sandalwood, oak moss, and amber. Le Jardin is inspired by the clean, sweet smelling air that fills a beautiful garden in the early morning. Fragrance notes include hydrangea, tangelo, lemon, cinnamon, gardenia, jasmine, rose, and musk. La Mer evokes the expansive, powerful, and comforting atmosphere of fresh air charged by the sea. Fragrance notes include bergamot, orange, eucalyptus, lavender, green tea, cedarwood, and patchouli. 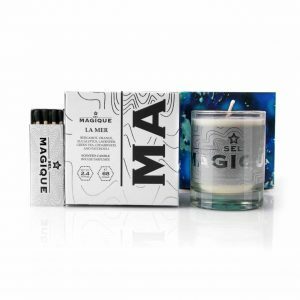 Each candle is made of sea salt infused 100% soy wax, and made with natural essential oils. 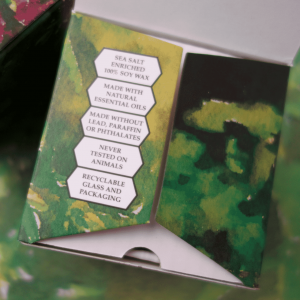 Our candles are made without lead, paraffin, or phthalates. Our products are vegan and we never test on animals. 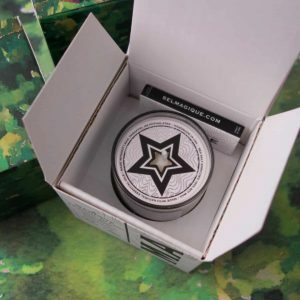 Recyclable glass and packaging, and every candle is handmade in the USA. 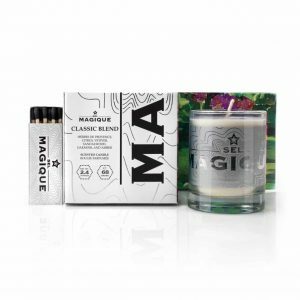 Fragrance is an integral part of Sel Magique. Open a jar, and the first thing that greets you is the crisp herbal aroma of our fine salt and herb blends. 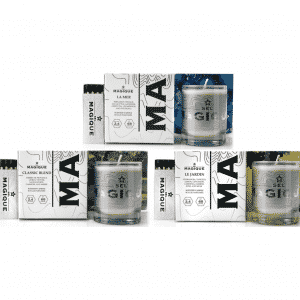 We’ve expanded this experience into three signature scents, which debut in our hand-poured candles. Classic Blend recalls the herbal, earthen aroma of our signature salt blend, imparting a timeless, warm, and luxurious scent. 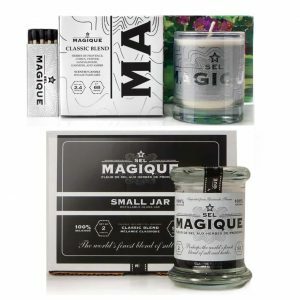 Fragrance notes include Herbes de Provence, citrus, vetiver, sandalwood, oak moss, and amber. Le Jardin is inspired by the clean, sweet smelling air that fills a beautiful garden in the early morning. Fragrance notes include hydrangea, tangelo, lemon, cinnamon, gardenia, jasmine, rose, and musk. La Mer evokes the expansive, powerful, and comforting atmosphere of fresh air charged by the sea. Fragrance notes include bergamot, orange, eucalyptus, lavender, green tea, cedarwood, and patchouli. 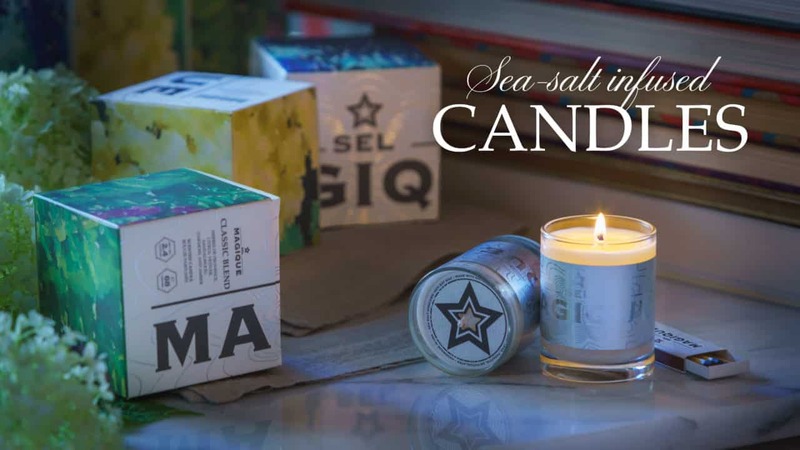 Each candle is made of sea salt infused 100% soy wax, and made with natural essential oils. Our candles are made without lead, paraffin, or phthalates. Our products are vegan and we never test on animals. 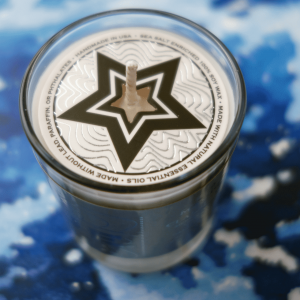 Recyclable glass and packaging, and every candle is handmade in the USA.